It seems that 2017 has brought about a new popular sub-genre of horror games. The kind of game in which one player is tasked with taking on the role of a killer who must hunt and kill their victims before they escape. Basically, you could refer to this type of game as a more violent version of hide and seek. Horrific yes, but still a tonne of fun. This genre of game has been a huge hit on the PC indie market too, and one of the most notable titles available in this genre is in fact, Dead By Daylight. Now console players will be able to try this game for the first time on the 20th and 23rd of June for the US and UK respectively. 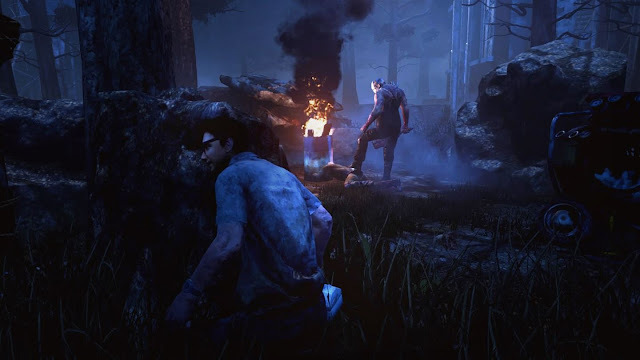 Dead by Daylight (in my opinion) is a game which at first is easy to pick up and play, but hard to master. At its core, the game is an online 4 v 1 survival horror game in which the 4 survivors/victims must sneak around various maps and attempt to power generators and escape. All the time you're trying to do this you're being stalked by a killer who wants nothing more than to sacrifice you on a hook as an offering to a mysterious entity. Sounds simple enough, but the game grows increasingly more complex through the use of its expansive progression system. Both survivors and killers alike will earn bloodpoints for playing matches and completing challenges, which they can then use to expand their ‘Bloodweb’. The Bloodweb offers new perks and items which can often aid players massively in ensuring their victory. As an example, I received an add-on for my chainsaw as the killer, which made my chainsaw silent, allowing me to sneak up on survivors for easy kills. You can choose to play as a variety of cliché killers, such as a mad doctor, a hillbilly, and a supernatural wraith to name a few, with more to come in the future as DLC. Playing as the killer (watch gameplay of this by clicking here) was a refreshing and satisfying twist from any previous survival horror games that I've played, with me mowing down victims with a chainsaw just as they were about to escape my grasp turning out to be incredibly enjoyable in a sick and twisted kind of way. Add to that hearing the real life screams of other players through voice chat as a gripping chase sequence begins, makes playing as the killer all the more satisfying. Playing as a survivor (watch gameplay of this by clicking here) on the other hand, I found to be less fun. 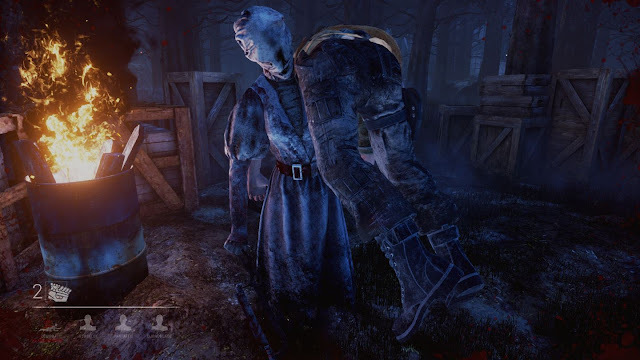 Whilst it may be just as terrifying as other excellent horror experiences, it can also get very repetitive, as with the more time I put into the game I felt that the odds were definitely in the favour of the killer. Your health as a survivor is very low, so you’re going to die A LOT. Adding to this is the monotonous objective of powering generators to escape, which I found got old fast, It begs the question of whether there is enough content here to keep the gameplay engaging for survivors. Also, there doesn’t appear to be much difference in what survivor you pick to play as apart from visuals, and not until much later on in the progression system. Overall: The game was certainly a lot of fun to jump into, particularly when playing as the killer. My only worry coming out playing the game is that the gameplay for both teams could become stale unless future updates change the game in a major way. For the amount of fun you can have with the game as it stands (and the fact with it being priced at just £23.99 on the Xbox store), it does offer good value. Especially when you consider that the developers have thrown in all previously released DLC (minus the likes of the Halloween) into the mix. Massive thank you to Aaron for typing up some words on the game for me while my Internet is off. Also, thank you for the survivor gameplay found on the YouTube channel. You can find Aaron's YouTube channel by clicking here. this game is very fun! 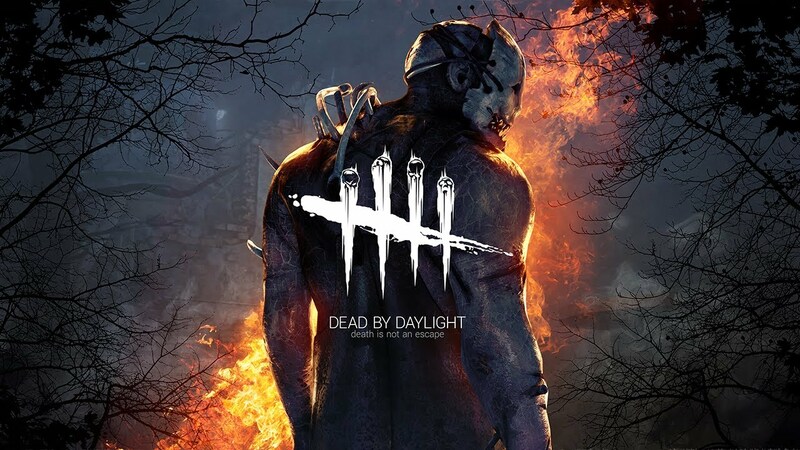 i have it on steam, i'll buy it eventually on xbox..
After watching the YouTube footage looks like my kind of game and as buggy as Friday the 13th. Sorry meant yo say not as buggy.